Historic timeline of selected models that changed riding in the world. 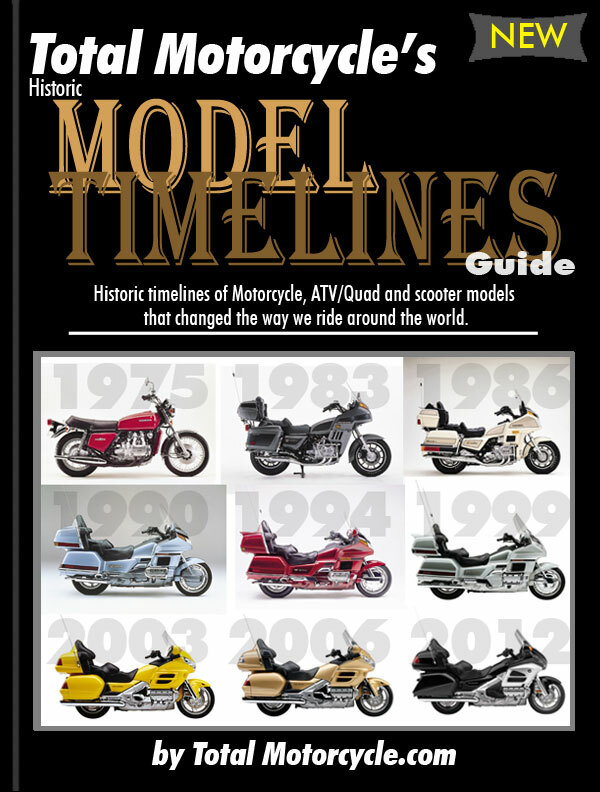 Historical photo and information timelines in the world of motorcycle, ATV/Quad and scooter models. Review new, old and the classic models that changed the world. Special thanks to: Aprilia, Benelli, Beta, Bimota, BMW, Buell, Ducati, Harley-Davidson, Honda, Husqvarna, Hyosung, Kawasaki, KTM, KYMCO, Moto Guzzi, MV Agusta, Piaggio, Ridley, Royal Enfield, Suzuki, Triumph, Ural, Vespa, Victory, Yamaha and Zero.